Harvard professor of psychology Steven Pinker garnered a significant amount of attention in the past year for his massive, 800-page book Better Angels of Our Nature, which argues the controversial thesis that, despite the atrocities of the 20th and 21st centuries, violence has declined worldwide and we live in the most peaceful era in human history. (A much shorter version of his thesis is an essay entitled A History of Violence). You might expect someone steeped in research on brutal inhumanity and war to be a little on edge, but Pinker has a sideline as a photographer of the tranquil and serene. 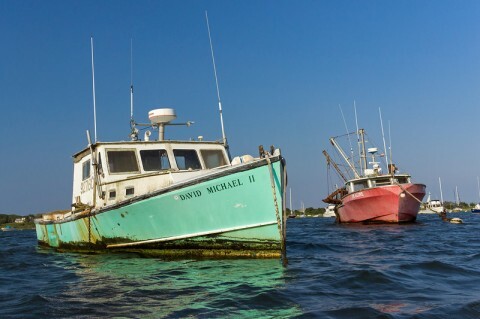 His most recent series of pictures builds on a fifteen-year history of photographing scenes of Cape Cod. In a tweet announcing the most recent collection, Pinker claims his inspiration for this series is the photographer Joel Meyerowitz, whose book Cape Light renders the Massachusetts Cape in the soft subtle tones of Renoir’s landscapes. Pinker’s lens takes in a deeper, richer light, and color pops from his images in unexpected ways—more Manet than Monet. His photography, I would imagine, provides a much-needed diversion from the heady intensity of his academic work, and the images are striking and beautiful. Look through Pinker’s latest Cape Cod series here. For more of Pinker’s photography see the full archive at his website. And visit this link for an extensive archive of video and audio interviews and talks from Pinker.